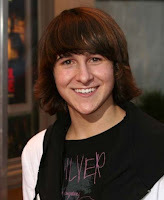 Fashion Art And Models: Mitchel Musso: "Go after your dreams"
Mitchel Musso: "Go after your dreams"
Everyone dreams at least I think so, but often left them behind for various reasons, we have fortunately Mitchel Musso to make us change their minds and encourage us to go after our dreams. I do not have a sleep special, just a journalist and live happily, is all I ask for now and I know that I will be happy journalist and a not too distant future, I will meet it (if not before I die), now I take more serious and that someone cares about our dreams and that somebody is the actor and singer Mitchel Musso: "My wish for you is to live their dreams, Helping others and my life motto of my life is' Do not let anyone stop you from going after their dreams”. Ya know, nobody can stop it, if you have a sleep you should go after him, no matter if others do not find it or if you look really hard, trust you and what you achieve is better to try to give up, do not you think?. Mitchael continues: “I also hope to meet you all in person, concerts, in a signature, or just in the center commercial. Come to me and talk to me. "